Chandra Textiles Pvt Ltd has carved a niche for itself in manufacturing high quality cotton yarn in the super fine counts segment. The company has state-of-the-art manufacturing facilities in spinning, doubling, singeing and mercerizing. 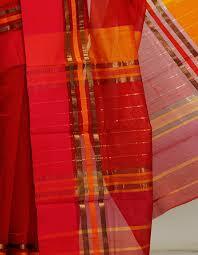 Its major focus over the years has been to support the Handloom market in India. The company’s products are well accepted in the domestic markets. It ranks among the “Top-Ten” in the super fine counts market. Almost 80% of the yarn produced by the company is value added for supply to manufacturers of high-end sarees &fabrics.